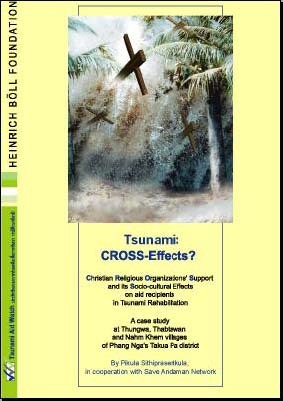 Tsunami: CROSS Effects? Christian Religious Organizations’ Support and its Socio cultural Effects on aid recipients in Tsunami Rehabilitation. A case study at Thungwa, Thabtawan and Nahm Khem villages of Phang Nga’s Takua Pa district. 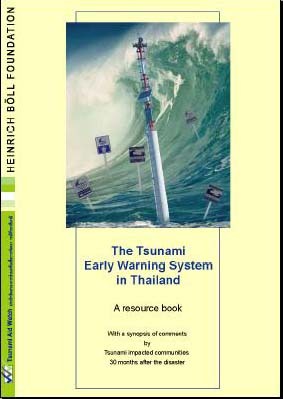 By Pikula Sithiprasertkula, in cooperation with Save Andaman Network, edited by TAW, Chiang Mai 2007. 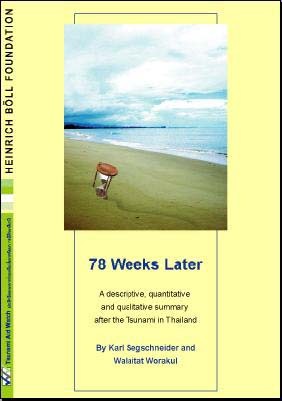 78 Weeks later: A descriptive, quantitative and qualitative summary after the Tsunami in Thailand. By Karl Segschneider and Walaitat Worakul, edited by TAW, Chiang Mai 2007.